As part of OMNICARD 2013, Klaus Klosa, managing director of LEGIC Identsystems, discussed the opportunities and challenges associated with NFC-based contactless identification. Klosa began by answering speculations concerning current contactless card systems, the migration to NFC-enabled smart phones and the possible consequences for such a move. 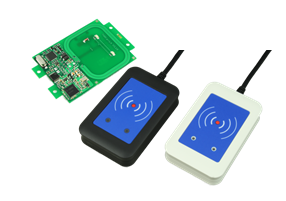 Storing an electronic key on an NFC smart phone is not a difficult task and as Klosa points out, LEGIC’s reader infrastructure has been NFC-compatible for some time now. Looking forward, Klosa believes that electronic keys will be able to be allocated and removed over a mobile phone network, regardless of time or location. In fact, LEGIC is in the process of developing a web-based administration system to do just this. 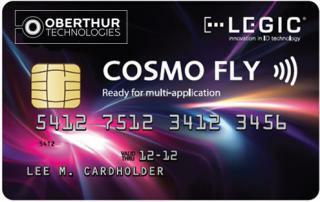 The migration from contactless smart card NFC smartphone systems carries with it a number of market concerns — specifically technical and financial burdens. With regards to the technical challenges facing NFC smartphone ID solutions, Klosa believes that the starting point must be a new generation of SIM cards and essential back-end systems. Beginning in 2013, these new SIM cards will be put in place by mobile network operators. As Klosa explains, companies like LEGIC are already capable of connecting mobile-network operator’s back-end systems with existing ID applications. These new, trusted services enable conventional applications like access control, parking or canteen applications to be effortlessly incorporated and used with new NFC-enabled smartphones. Another major concern surrounding the jump to NFC smartphone solutions is cost. The move from contactless smart card solutions will surely depend heavily on how cost effective the migration process will be. Klosa states that there are currently more than 100,000 ID systems supporting 150 million users in the LEGIC eco-system alone, with a countless number of MNOs. In order to make NFC-based solutions a reality for every smartphone user, every system operator and MNO must reach an accord. Klosa believes that after high initial price proposals, more MNOs have realistically reconsidered the facts and have begun to adapt their expectations accordingly. Klosa believes that trusted service management is a possible solution to the issue. To pave the way for profitable and desirable NFC-based ID solutions, someone will have to maintain and manage the connection between the various infrastructures, markets and actors. Klosa reveals that LEGIC— as a supplier of ID core elements— will provide a trusted service to its partners and clients.